Are you feeling a desire to be more? Join us for a weekend when single Catholic women come together to learn more about religious life. 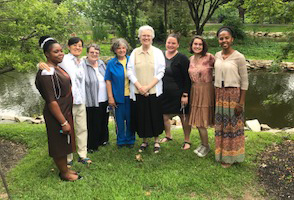 You will meet and talk with Sisters of Bon Secours, have time for quiet prayer, group sharing and relaxation at our Retreat and Conference Center. Our summer Come & See weekend will also include an optional opportunity for you to serve those in need and work with us as a team in service to people in need within some of our ministries in West Baltimore.